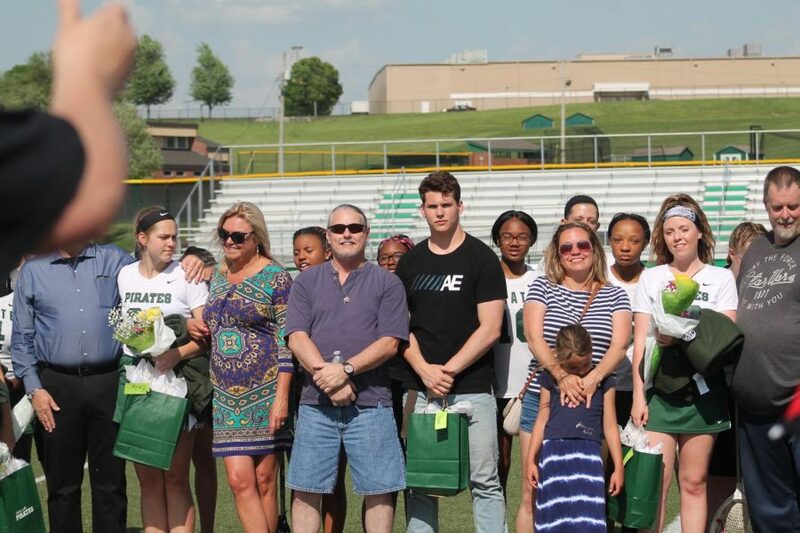 A special ceremony was held in honor of the six seniors on the lacrosse team before the 16-2 win against Wentzville Holt at Pattonville on May 9. One of these seniors was 4-year varsity player Alexandria Taylor who was the first 4-year varsity player out of the lacrosse team ever. Also honored were Maya Furr (2 years), Kortney Fauntleroy (2), Destinee Heard (1), and Emily Martin (1). Other seniors honored were the two senior managers Nichole Ashford and Sean McDonald. The girls were lined up on the field and presented with gifts by their underclassmen teammates. 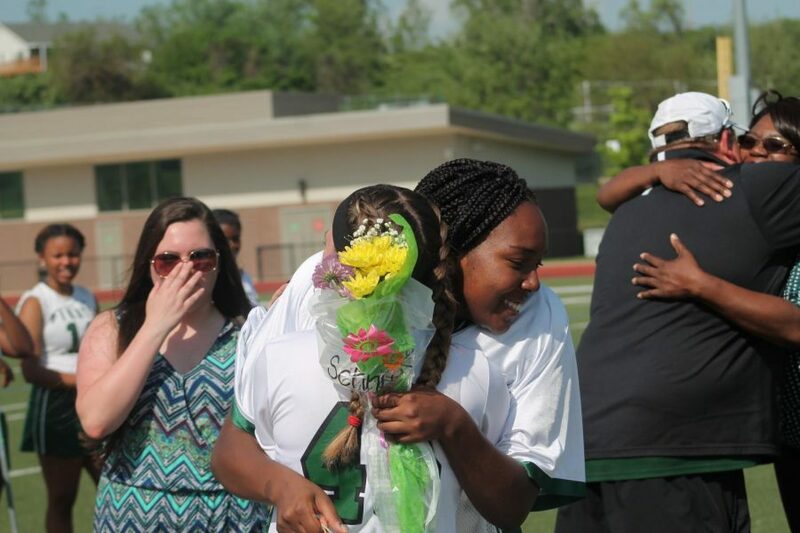 In their bags were their favorite candy and Gatorade, a framed photo of themselves and their coach, a blanket embroidered with the Pattonville lacrosse logo, and a bouquet of flowers. Taylor said her last home game after her four years on the team was amazing. Coach David DiPasquale said the end of the season is hard. Pattonville played Wentzville Holt on the almost stormy day. The forecast read for storms, but reality read for clear skies and beaming sunshine. The final score ended at 16-2. The Pirates leading scorer was Leslie Azwell with 6 goals. Other scorers were Bianca Johnson (5), Kacie Baniak (2), Victoria Lofland (2), and Helen Nelson (1).